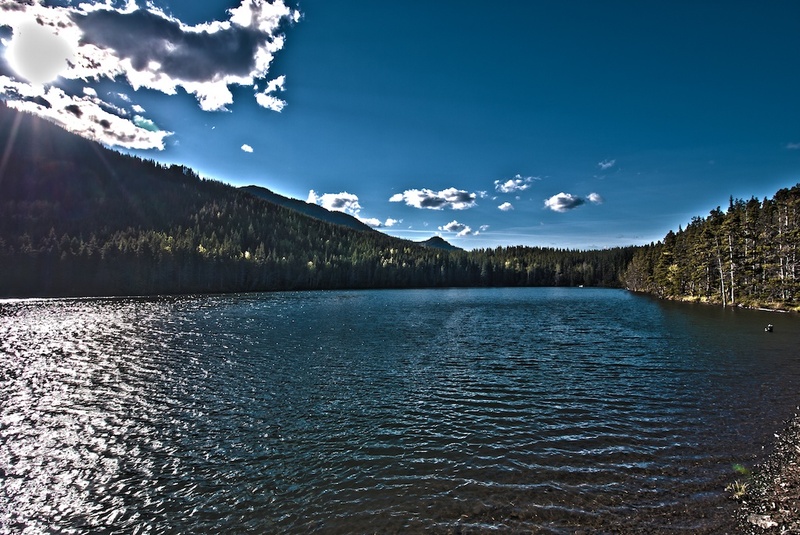 A group of 4 small lakes that offer excellent fishing in a semi alpine bowl. Pickle Jar Lakes are not stocked but reproduce a good base of Cutthroat Trout up to 12". Clear mountain water allows for easy fish spotting. Hiking Directions: (~1.5 hours - 4km - 430m Elevation Gain) From the day use area, cross the highway and follow Lantern Creek trail, which is north of the day use area on the east side of the highway. To Get Here: From Turner Valley take HWY 22 south to Longview. Turn right on HWY 541 and follow this past Highwood Junction and up HWY 40. 63km from Longview, turn left into Lantern Creek day use area. The Highwood during the spring runoff. The Highwood River is the centerfold of Kananaskis. 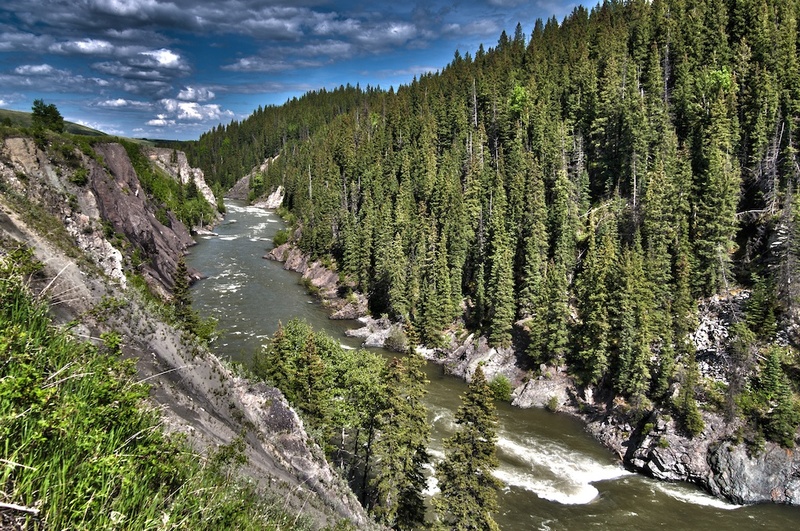 From it's origin to it's terminus, this river showcases what Kananaskis is all about. Crystal clear water running through sum of the most awe inspiring landscapes. The river winds deep in the valley bottom, with steep banks and limited access near Longview and easy access with shallow banks the further west you travel down HWY 40. You will have your best luck by avoiding those hot summer days. Cutthroat and Rainbow trout are common in the area with big Bull Trout being the ultimate prize. Rainbow, Brown and Brook trout as well as mountain whitefish are also present. Cutthroat are found more near the headwaters, Browns and Bulls are found more near the upper half with Rainbows and Brooks taking over near High River. To Get Here: From Longview, take HWY 541 west towards HWY 40. Highwood River runs alongside the south edge of the highway the entire way past Highwood Junction and continues on along HWY 40. Pick your spot and pull over. 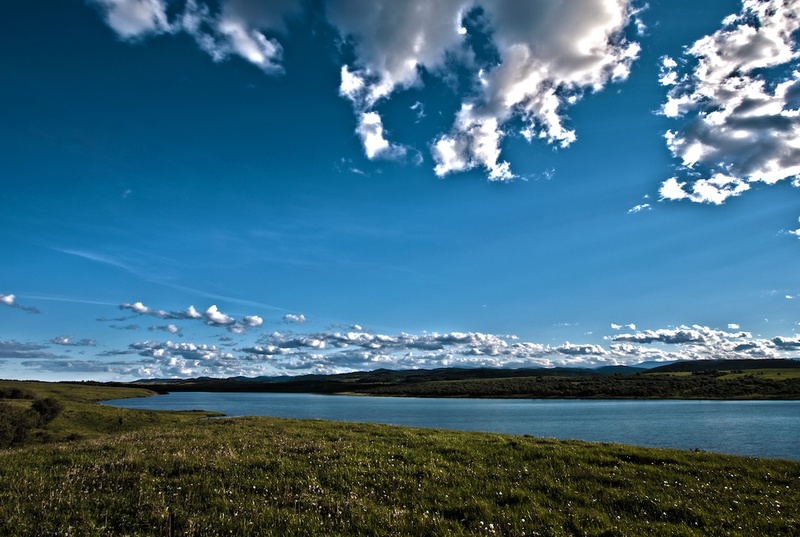 Chain lakes provides a relief from the dry prairie with a large set of lakes, in the middle of the prairie landscape. The Rockies form a stunning backdrop in the distance, while the area surrounding the lakes feels like the set of western movie. Although the lakes are not known for their large fish, continuous stocking provides relatively easy fishing making this area a great family outing. Rainbow, Cutthroat, Brown, Brook, and Bull Trout, as well as Mountain Whitefish are all present. There is a boat launch and motor boats are permitted however towing is prohibited. To Get Here: From Black Diamond, take HWY 22 south for 57km to Chain Lakes Provincial Park entrance on the right hand side. A beautiful mountain lake that feels like it's on the edge of the world. A surreal area that is on the border of alpine mountain ranges with the vast rolling foothills falling to the prairie flatland behind. The hike into Bear Pond is short but steep. Scramble up the trail running straight up the hillside for 0.4km to Bear Pond Hauling a small boat up the trail isn't easy, but is possible. To Get Here: From Longview, take HWY 22 south for 28km to HWY 532. Follow HWY 532 west for 19km to Bear Pond parking lot on your right.